When do you Pay VAT on Gift Cards? In this blog, we’ll cover everything you need to know about selling gift cards and/or vouchers as a business. The law surrounding VAT on gift cards has recently been tweaked to align legislation with that of the EU. Hearing of this news, one of our clients posed an interesting question. This client owns a very lovely bookshop in Norfolk and they wanted to start selling gift cards. The question asked was whether VAT must be declared at the point of sale of the gift cards, or once they have been redeemed for goods. On the face of it, this seems like an easy question to answer because books are zero-rated, meaning VAT wouldn’t need to be declared at any point. It isn’t quite as simple as that though, because it isn’t just books that are sold in the bookshop. There is also a vast array of book-related items on offer such as bookmarks and bookends as well as merchandise such as mugs and bags. This is where it gets a little more complicated. Many of the non-book items aren’t zero-rated, so VAT must be paid on them. The question remains then, does our client need to declare VAT on the sale of gift cards or at the point where the goods are redeemed? In this instance, the answer is that VAT only needs to be declared on VAT chargeable products at the point they are redeemed with the gift card. We advised and supported our client through the process of rolling out gift cards so that now, she is selling them comfortably and compliantly. However, if you, the reader approached us about gift cards, we might give you a very different answer. This is the point of this blog, to highlight that the rules vary depending on your business and the products you sell. The point at which VAT is declared for gift cards depends on whether it’s a single or multipurpose gift card. A single purpose gift card is one that allows the holder to receive goods or services of one type which are subject to just one rate of VAT. 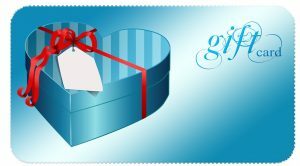 With these types of gift card, VAT is paid at the point of sale, not when it is redeemed. Multipurpose gift cards are exactly the opposite. These are used when your business is selling a variety of products that don’t all fall under the same rate of VAT. When using these gift cards, VAT is paid once the goods are redeemed. If, for example, you own a company that delivers one type of service, everything you do will be subject to the same rate of VAT. You would, therefore, be issuing single purpose gift cards, meaning VAT would be declared at the point of sale. If, on the other hand, you own a general goods shop selling an array of different products from vegetables to toiletries, you would be issuing multipurpose gift cards and VAT would be paid at the point the gift card is redeemed. The appropriate rate of VAT would be charged on a product-by-product basis. Why someone would use a gift card to purchase vegetables or toiletries is a question for another blog. It is worth pointing out that it isn’t always as simple as this though. Different rules apply when gift cards are sold at discounted rates. Matters are complicated further when one business sells gift cards that can be redeemed at other establishments. In these cases, more specific advice is necessary. If you have any questions about this or any other matters relating to VAT, please do not hesitate to get in touch.